I'm finally on school holidays again, well ignoring the day and a half I have this week; I'm thinking it won't really count as (fingers crossed) we'll just watch films and eat chocolate. Which mean A) I can finally get on top of my blog and B) It's christmaaaaaaaaasssss, well nearly. Sorry for the picture heavy post but last weekend I travelled to London to attend the #WWmeetup organised by Islay and Ellie. 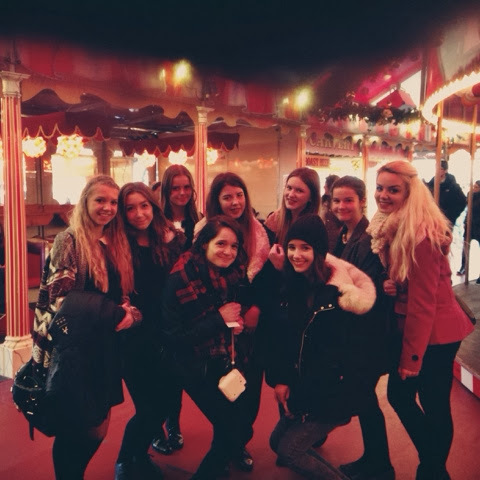 I have been super excited for this for long time because I had never been to Winter Wonderland in hyde park before and I was excited to catch up/ meet some new bloggy friends! At the beginning of the day I met up with Jordan and Emily before we travelled towards Hyde park to meet the others. We then met up and walked towards the park. Initially we went of in small groups to wonder around before we met up to do some browsing along oxford street and eat something. Ellie, Ellie, Ellen and I (yup, I ruin the names beginning with 'Ell' thing...) we bought some extremely yummy German doughnuts before going on this indoor snow roller coaster thing. It was great to see Ellie again and meet Ellie and Ellen. 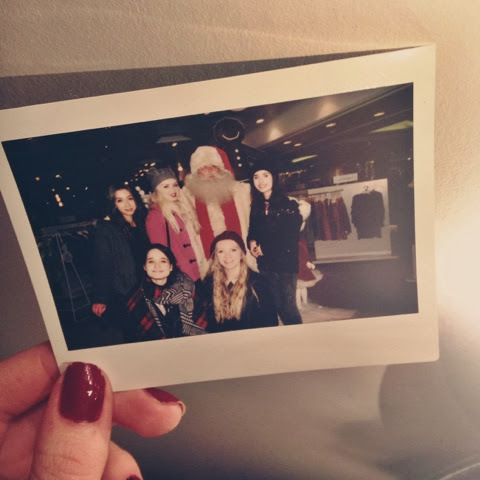 After meeting up with the other girls again we headed towards oxford street (however a bit of confusion meant that we split up from other girls who were originally there) After browsing through Selfridges, having a picture with Father Christmas and obsessing over Ellie's Polaroid camera we headed to Ed's Diner. Overall I had a lovely day and to be frank I want to rewind time and do it all over again. Thank you to the lovely Ellie and Islay for organising it! 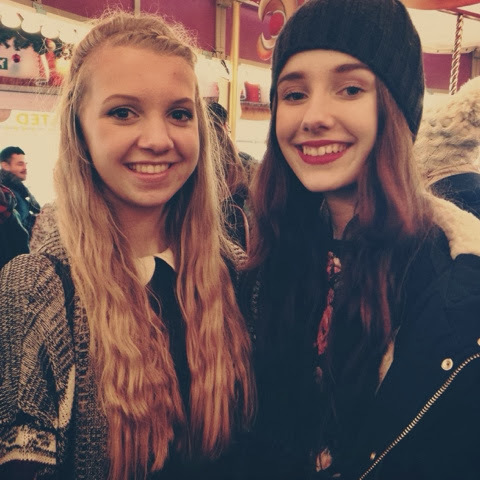 It was lovely to meet you again! Your photography is amazing!